Marshall M. Fredericks, Jerome P. Cavanagh and Coleman A. 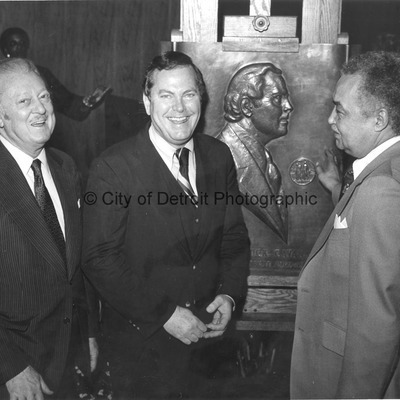 Young with the "Jerome P. Cavanagh Portrait Relief" at the Detroit Institute of Arts. 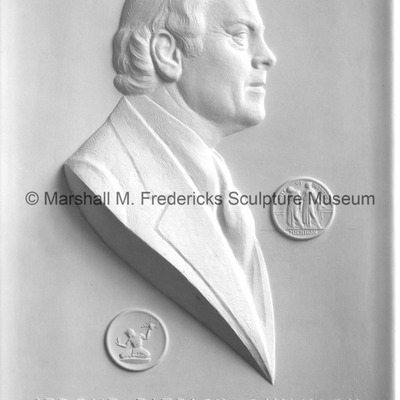 "Jerome Patrick Cavanagh Portrait Relief"
Portrait relief of Jerome Patrick Cavanagh, mayor of Detroit 1962-1970.